We all know that drinking water is important for our body. Water makes up for about 50 to 70% of our body weight. It doesn’t take much for the body to become dehydrated. 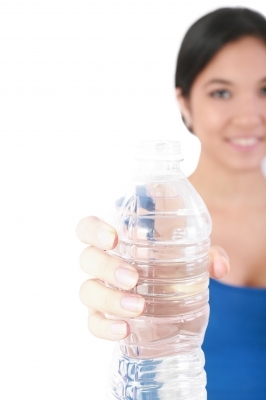 A loss of 1.5% of water can already cause mild dehydration. Dehydration does more to you than just making you feel thirsty. It can cause serious health effects ranging from loss of appetite, nausea, difficulty concentrating, dizziness and fogginess to headaches, impaired physical performance, increased weakness and more. In the hot and dry desert of Israel, I had to learn this the hard way and my first hand experience taught me how important it is to prevent dehydration. Got to keep drinking that water! Here’s 10 important benefits of staying hydrated. Drinking enough water means maintaining body fluid balance. This is important for transporting nutrients in the body, regulating body temperature and food digestion and absorption. Exercise causes the muscles to lose water. When the muscles don’t have enough fluids, they don’t work as well and performance can suffer. When exercising, drinking enough fluids is important to replace the fluids lost while sweating. Other than this, staying hydrated will help you concentrate and stay alert and focused. Drink it up! Drinking water instead of soft drinks, energy drinks or alcohol can significantly reduce calorie intake. Also, staying hydrated can serve as an appetite suppressant and help with weight loss because drinking enough water will make us feel full. Our skin contains lots of water and functions as a protective barrier to prevent excess fluid loss. Keeping hydrated will make your skin look at its best by flushing out toxins which can cause inflammation of the skin and warding off wrinkles that are caused by dehydration. A glass of water may be more effective at boosting energy than a cup of coffee. Tiredness is often caused by dehydration. Drinking enough water can prevent joint pain as it keeps the cartilage soft and hydrated. Also keeping hydrated will reduce muscle cramps and strains as well as headaches. Staying hydrated will help keep things flowing in your gut and prevents constipation. Our kidneys do a tremendous job at cleansing and clearing away the toxins that we don’t need in the body, as long as we stay hydrated. To perform optimal, the kidneys need enough water. Dehydration can affect mood as it can make you grumpy and confused. Think clear and feel better by drinking enough water! 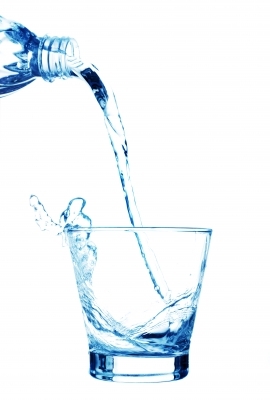 Various research shows that staying hydrated can significantly reduce the risk of colon cancer and bladder cancer. My advice; drink when thirsty and make sure to always bring your bottle with fresh water with you on your way. Let’s drink to that! Image courtesy of Theeradech Sanin and David Castillo Dominici at FreeDigitalPhotos.net.